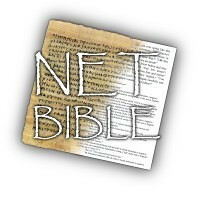 I have been exploring a new release of an online Bible available at bible.org. It was put together by conservative scholars and has great textual notes regarding manuscripts and lexical information. It is also has an innovative approach to copyright issues. Tommorrow will be a different day as Don and I were given a professional day to attend a seminar in Shoreline. Don't forget to check Bjorn's blog about New Orleans. He's written more in the last weekend than he has this whole semester.